The Mexican government is on the hunt for the notorious drug kingpin Rafael Caro Quintero. Dozens of elite members of Mexico’s armed forces have laid siege to a large area deep in the sierras, surrounding the Sinaloan villages of La Noria, Las Juntas, Babunica and Bamopa, with locals complaining of systematic human rights abuses. Rafael Caro, 65, has been on the run for five years, and is something of a legend in Sinaloa. Back in the 1970s he controlled the now-defunct Guadalajara Cartel, but ran afoul of US authorities for his alleged involvement in the kidnapping and murder of DEA agent Enrique (“Kiki”) Camarena Salazar. Then in 2013, a state court in Jalisco released Caro on a technicality – possibly as a result of a corrupt process – thus enraging the US government. He is now wanted in both the US and Mexico. 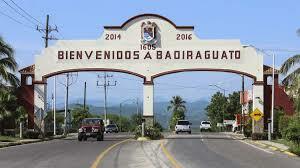 The towns are in the Badiraguato Municipality, home of Sinaloa Cartel kingpin Joaquín "El Chapo" Guzmán, who is now in custody in the United States. El Chapo’s partner, Ismael Zambada García, is also from this part of Sinaloa, and still at large, with the FBI offering up to US$5 million for information leading to his capture. But it seems to be Rafael Caro that the government has its sights on. According to eye witness accounts from locals, the Marines first arrived on March 7, rappelling to the ground from Black Hawk helicopters. The soldiers then proceeded to violently force their way into houses in search of Caro. These and other accusations have been widely confirmed by residents of Babunica, including by Erika Serrano, the security officer of the local ejido (agrarian community), who claims to have received numerous complaints. These include robbery, physical and psychological abuse, and – in some cases – death threats. Serrano is correct. Under Mexican law, there is no legal obligation to disclose the whereabouts of an individual, even if that person is wanted by the authorities. But does the average Mexican soldier even know the law? Mexico’s militarization of police activity has resulted in widespread abuse, in part due to a culture of impunity, but also because soldiers lack basic police training with regard to civil rights or the collection of evidence. In the state capital of Culiacán, activist groups such as the Sinaloa Civic Front (Frente Civico Sinaloense, or “FCS”) and the Commission for the Defense of Human Rights (Comisíón de Defense de los Derechos Humanos, or “CDDHS”), have confirmed that in the last two weeks they’ve received dozens of complaints from residents in the area. “It’s worrying that this is now happening in the mountains around Badiraguato, because this isn’t the first time that we’ve seen these kinds of abuses by the Marines or the Army,” said Miguel Ángel Murillo, who is in charge of legal affairs for FCS. Murillo says that the abuses of power include “hitting people, stealing from them, sowing fear.” He claims that the FCS now has a binder full of such complaints which will be sent on to the National Commission of Human Rights (Comisión Nacional de los Derechos Humanos, or “CNDH”). But first hand interviews with Marines would suggest otherwise. The operation began around five in the afternoon on March 7th. The Marines arrived simultaneously with six Black Hawk helicopters. Two helicopters descended on each of the three villages of Babunica, La Noria, and Las Juntas. For the locals, the surprise was that the helicopters were so quiet. The Marines appeared to have planned the attack well in advance, using the surrounding mountains to obscure their approach. Such coordination makes the alleged human rights abuses all the more problematic. During the operation the Marines rounded up the residents of the three villages, including their vehicles, and decommissioned the radios. There is no cellular service in the remote area, and locals claim that the radios are necessary for them to communicate amongst themselves. More disturbing are alleged threats of sexual assault. A woman from the small village of Guanajuato, Sinaloa, also in Badiraguato Municipality, was attending to her roadside stall when she was allegedly threatened by soldiers. Two weeks later, the Marines are still in the area, with no sign of Rafael Caro Quintera.